Archer Exploration Limited (ASX:AXE) today announced it has signed a Collaboration Agreement with Flex-G Pty. Ltd. (FlexeGRAPH) to jointly develop graphite and graphene based advanced materials for the thermal management of electric vehicle batteries, internal combustion engines, and high-performance computing systems. The agreement stipulates advanced materials development, processing and evaluation and characterisation, and in particular focuses on the development of thermal management applications using materials from AXE’s Campoona project. 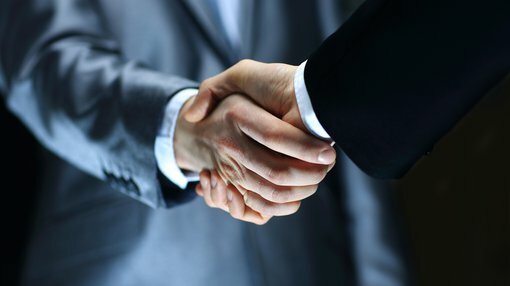 AXE’s main objective in brokering the deal is to commercially translate products and patents in areas relating to high volume and high value graphite-to-graphene development within the ‘reliable energy’ market. As part of the joint work, AXE and FlexeGRAPH will prototype materials using Campoona graphite, and essentially develop new products to be sold through the Carbon Allotropes Marketplace. It should be noted that AXE is an early stage play and anything can happen, so seek professional financial advice if considering this stock for your portfolio. Archer CEO Mohammad Choucair commented: “This strategic relationship with FlexeGRAPH provides an opportunity for us to integrate our graphite materials with a clear view downstream connecting the sourcing, processing and use of graphite and graphene in high value systems including electrified vehicles and high-power computing. “Together with FlexeGRAPH we have an opportunity to convert our high-volume Campoona graphite to high-value graphene materials that can impact the automotive and computing industries where thermal management and reliable energy is critical to their widespread use,” he said. The two parties will develop materials from AXE’s graphite into components for integration in energy storage and computing systems, including conventional thermodynamic systems such as internal combustion engines through to advanced devices — such as electric vehicle batteries and high-performance computers. In looking to bring these products to market, AXE will test both raw and processed materials to verify the quality and performance parameters. Subsequently, raw and processed materials as well as products developed by the FlexeGRAPH-Archer collaboration and/or developed independently by FlexeGRAPH, will be listed on the Carbon Allotropes on-line marketplace (www.market.carbonallotropes.com), providing an e-commerce pathway to market. 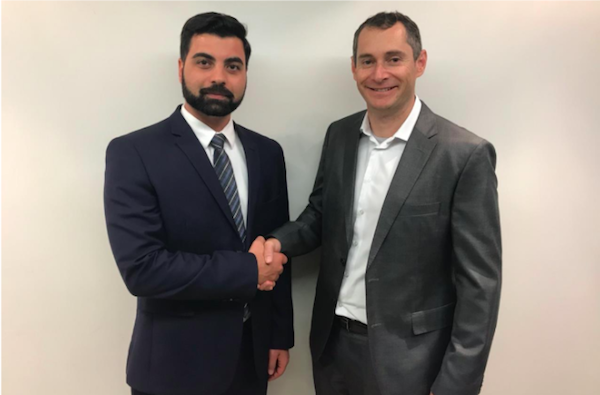 Archer CEO Dr Mohammad Choucair and FlexeGRAPH Founder and CTO Dr Shannon Notley.